When it comes to SMS communication, the last thing you want to do is have to worry about the technicalities and logistics of how and when your messages are being delivered. You should be focused on the content of your messaging and how it engages your customers, instead. Since that’s the case, you need to take your SMS partner’s API seriously. The average person tends to take for granted how complex SMS is. Since all we know are the streamlined interfaces we use to send and receive text messages on a daily basis, most of us don’t ever think about what’s happening behind the scenes. Think about it, though: There are hundreds of different mobile phone operators and networks around the world. Each has different technologies and formats in place. Some receive messages in the ASCII format, while others operate through a binary format. Some customers operate with one carrier, while millions of other customers choose to do business with another. Then there’s the question of what happens when you send a message and the recipient’s phone is off. How is the message held until the phone is turned back on? Think about the length of text messages, as well. Have you ever wondered how long messages are split into shorter messages so they comply with the appropriate character count stipulations? There’s so much happening on the technological side that it’s virtually impossible for an inexperienced business to launch an SMS strategy on its own. That’s why an SMS API is so valuable. Application Programming Interfaces (API) are what streamline and convert messages into the appropriate format so they’re ready to be received and accessed with very little manual effort or intervention. 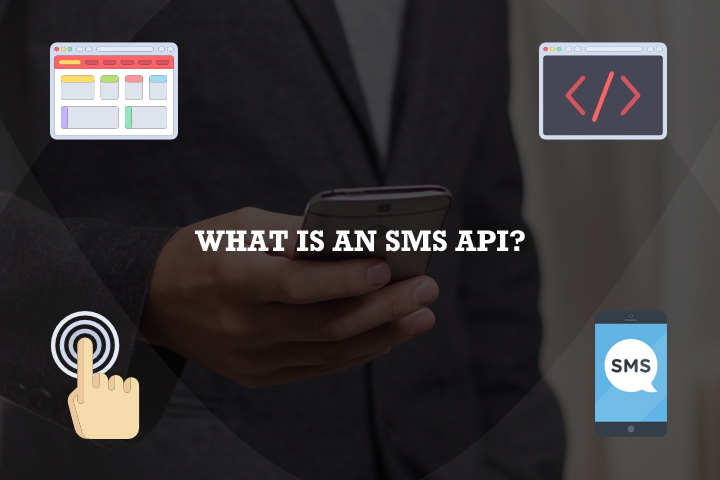 Though every SMS provider has an API, not all APIs are the same in terms of quality, security, and features. As you search for an SMS partner, you’ll want to take each one’s API into account. The best API is an API you don’t even realize is there. It operates in the background and shouldn’t be a source of distraction. That being the case, you have to think about deployment. There are a variety of different structures, and you should have one that satisfies your needs without holding you back or preventing you from accomplishing time-sensitive goals. Your SMS strategy will only be as effective as your API is reliable. In other words, you need your network infrastructure to be capable of handling large volumes of messages and data without the risk of crashing. Ideally, you need 99.999 percent uptime. Anything less is unacceptable and could ultimately end up compromising your communication with customers. Pricing is obviously very important. Regardless of the size of your business, budgetary concerns will come into play. There are a variety of pricing tiers in the industry and you’ll need to identify how much you can spend. A word of caution here, though. The quality and reliability of the API is generally connected to price. The cheapest option is rarely the best. If there’s one place you want to spend a little extra, this is it. One of the key advantages of SMS — as opposed to email or push notifications — is that it’s fast. It only takes seconds for a message to be delivered … and just minutes more to be read. However, if you take the speed away, SMS suddenly becomes just another communication tool. That’s why it’s so important that you identify APIs that have high throughput capacity. Some may send only 25 messages per second, whereas others can send more than 100 per second. That’s a big difference, and you should take this feature of APIs seriously. At OpenMarket, we have the industry’s leading Global SMS API, which enables large enterprises to expand their global messaging programs with very little effort. Perhaps the best aspect of this new global SMS API is that it helps businesses overcome the challenges associated with Application-to-Person (A2P) SMS messaging. A2P SMS now connects more than six billion people across the globe and has therefore become a huge channel for businesses hoping to engage customers. The challenge with A2P SMS is that there are so many different character sets, message lengths, and network hurdles. Trying to navigate them on your own is impossible. This new OpenMarket API addresses all of the many challenges and makes it possible to develop a scalable and redundant messaging platform. As a result, our OpenMarket customers can now focus on the content of their messages – not the complicated technicalities that so often hold up SMS strategies. Did you know that some of the world’s large corporations and enterprises choose to work with us? At OpenMarket, we want to be your go-to SMS provider as well. In addition to the reliability of our global SMS API — which is discussed in the previous section — our SMS messaging solution is backed by superior support and customer service. When you work with us, you immediately gain access to a 24/7/365 global support team that’s willing and able to help you work through any questions or issues. We also have dedicated account managers to help with any of your specialized needs — including custom projects and managed services. For more information regarding OpenMarket and why so many other global brands are utilizing our industry-leading solutions, please contact us today!